Brooke Cunningham, MD, PhD, is a general internist, a sociologist, and an assistant professor in the University of Minnesota Department of Family Medicine and Community Health. 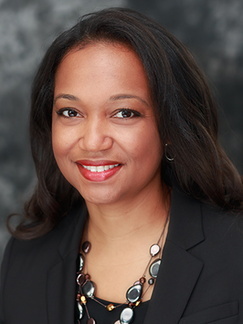 Dr. Cunningham uses mixed methods to examine factors at both the provider and organizational levels that impede or facilitate efforts to address health equity, including how health care workers make sense of race and frame the causes of and solutions to racial disparities in health and health care. She teaches a course on race to first-year medical students and has been invited to speak to students and faculty from other medical schools about race and medicine. Dr. Cunningham practices internal medicine at the Community-University Health Care Clinic (CUHCC), a federally-qualified health clinic in Minneapolis that serves a diverse patient population, most of whom live in poverty. Purpose: Conduct a systematic review of interventions conducted with health care personnel to promote engagement with race, racism, or racial disparities in health and to develop a scale to measure providers’ psychological safety and perceptions of organizational culture in relation to racial health and health care disparities. Title: "From 0 to 100: Building Strong Positive Organizational Climates for Health Equity"
Title: "Come Step in It: Real Talk about Race"
Purpose: Use participatory action research to develop an intervention to promote effective dialogues about race in health care. Title: "The Impact of Residency Factors on Racial, Size, and LGBT Bias in Physician Trainees"
Purpose: This study is part of a program of research intended to evaluate and improve the degree to which physician training promotes physicians’ ability to provide equally high quality and patient-centered care to all patients regardless of their race or ethnicity, size, or sexual orientation. Title: "Motivating Providers to Reduce Disparities in Their Own Practice"
Purpose: Develop and test communication strategies to motivate VA providers to prevent racial health care disparities. Burke S, Dovidio J, Perry S, ...Cunningham B, et al. Informal training experiences and explicit bias against African Americans among medical students: A report from the Medical Student CHANGE Study. Soc Psychol Q. 2017;80(1):65-84. Burgess DJ, Burke SE, Cunningham BA, et al. Medical students' learning orientation regarding interracial interactions affects preparedness to care for minority patients: a report from Medical Student CHANGES. BMC Med Educ. 2016;16(1):254. Cunningham BA. Our capacity to care. Creat Nurs. 2016;22(3):146-50. Perry S, Hardeman, R, Burke S, Cunningham B, Burgess D, van Ryn M. The impact of everyday discrimination and racial identity centrality on African American medical student well-being: A report from the Medical Student CHANGE Study. J Racial Ethn Health Disparities. 2016;3(3):519-26. Cunningham BA. Race: a starting place. Virtual Mentor. 2014;16(6):472-8.